One of the world’s most iconic astronomy sites, Puerto Rico’s giant Arecibo Observatory, may be facing the end of its era. The National Science Foundation (NSF), the primary funder of Arecibo—which is the largest existing radio telescope and was featured in the movies Contact and GoldenEye, among others—is holding public meetings on June 7 to “evaluate potential environmental effects of proposed changes to operations at Arecibo Observatory,” according to an NSF announcement. Because those proposed changes include the option of shutting down the 305-meter dish telescope altogether, officials will likely get an earful about more than air quality and groundwater. Defenders of the observatory will have a chance to speak their minds at two meetings—at the San Juan DoubleTree Inn and the Puerto Rico Professional College of Engineers and Land Surveyors—and can submit comments in writing through June 23. Since its completion in 1963 the storied telescope found fame for discoveries such as the first-ever planets outside the solar system in 1992 and the first indirect evidence of gravitational waves in 1974, a finding that earned its makers a Nobel Prize, among other landmark accomplishments. But the beloved observatory now stands on a precarious threshold. The NSF has to balance the operations of new and expensive facilities such as the Atacama Large Millimeter/submillimeter Array in Chile against older ones like Arecibo while weighing federal scientific priorities and setting aside enough money for grants to individual scientists. 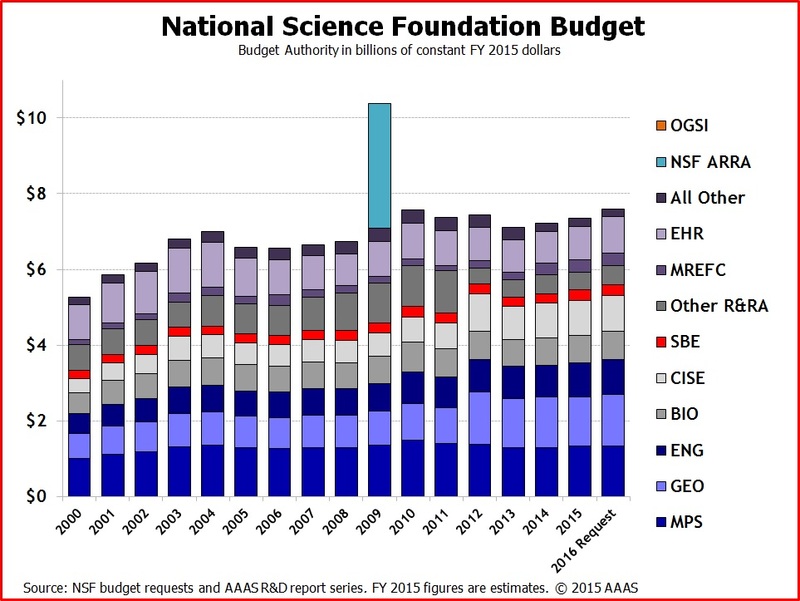 With the NSF’s budget essentially flat since 2010, the agency cannot afford to run all its telescopes indefinitely, continue building new ones and still pay the country’s scientists. But researchers who use Arecibo argue that it has a useful life of novel discoveries ahead of it, even if is not as shiny as the newcomers, especially in some areas where it makes a unique contribution. The observatory’s latest announcement follows recommendations made by two committees associated with the NSF, in 2012 and earlier 2016, reevaluating the agency’s role in running the telescope and “significantly decreasing funding.” This year the NSF also did a “feasibility study” to map out various futures for Arecibo and asked potential partners to propose ways they could take over some telescope operations. The NSF currently funds Arecibo at $8.2 million a year, two thirds of the telescope’s total cost, with NASA kicking in the last third to bankroll the observatory’s study of near-Earth asteroids. But two NSF divisions—Astronomical Sciences and Atmospheric and Geospace Sciences—which split their cost equally, are reconsidering their roles. The “environmental impact statement,” for which the upcoming meetings seek public comment, will attempt to define the earthly effects of five different hypothetical scenarios, each involving a different financial commitment from the NSF. In one, everything would stay much the same. But the agency could also team up with “interested parties” who could help fund the telescope or other interested parties who want to run it as an educational facility. More pessimistically, the NSF could mothball the site, shutting it down in such a way that it could restart (sometime in the future). Or it could dismantle the telescope altogether and restore the area to its natural state, as required by law if the agency fully divests itself of the observatory and closes it. Previous studies have said such a process could cost around $100 million—more than a decade’s worth of its current funding for telescope operations. Jim Ulvestad, director of the NSF Division of Astronomical Sciences, says the agency is still investigating, not concluding. “No alternative has been selected at this juncture,” he says. And much consideration will go into the final financial decision, whatever it may be. Some outside the agency see writing on the wall. “NSF is dead serious about offloading Arecibo funding to someone else—anyone else,” says Ellen Howell, a former staff scientist at Arecibo and now a faculty member at the Lunar and Planetary Laboratory (LPL) in Tucson, Arizona. This is hardly the first time Arecibo’s future has felt precarious. A quick Google search will net you various “Save Arecibo!” campaigns from the 2007 era—for instance, after an NSF-commissioned report recommended decreasing the agency’s funding for the telescope from 2007’s $10.5 million to $4 million in 2011. Its current $8.2 million-a-year allowance is a compromise. And the observatory has company in its current crisis. The Green Bank Telescope in West Virginia, the Very Long Baseline Array spread across the country, and several older telescopes on Kitt Peak in Arizona are wading through similar budgetary muck, trying to work out new private partnerships (with NSF assistance) after the agency decided to cut their cords. And according to documents and e-mails obtained by The Sydney Morning Herald, the Parkes radio telescope in Australia is facing similar funding shortfalls. A “likely recommendation,” according to The Herald, will be that Parkes and another Australian facility “raise external funds by charging for access to the telescope facilities.” Green Bank, Arecibo and Parkes are three of the world’s most powerful radio telescopes—historically open to scientists who successfully submit proposals to use them—and government-based financial problems may lead them all into eventual closure or into the arms of private interests, where whoever pays gets to choose what type of science is done. Arecibo currently is used for radio astronomy, space and atmospheric science as well as radar studies of comets, asteroids and planets. These areas are brimming with potential for the observatory to make many exciting discoveries in the future, advocates say. Xavier Siemens, an astronomer at the University of Wisconsin–Milwaukee, is especially excited about the possibility for using Arecibo to detect gravitational waves—ripples in spacetime—coming from supermassive black holes. Because it is the largest and most sensitive single-dish radio telescope in the world, Arecibo is one of the best instruments available for detecting pulsars, the fast-spinning remnants of dead, once-huge stars. Scientists like Siemens currently use Arecibo and the also-threatened Green Bank Telescope to find and monitor a network of pulsars they hope will help detect gravitational waves.